Ageless beauty of tis assemblage Earrings. 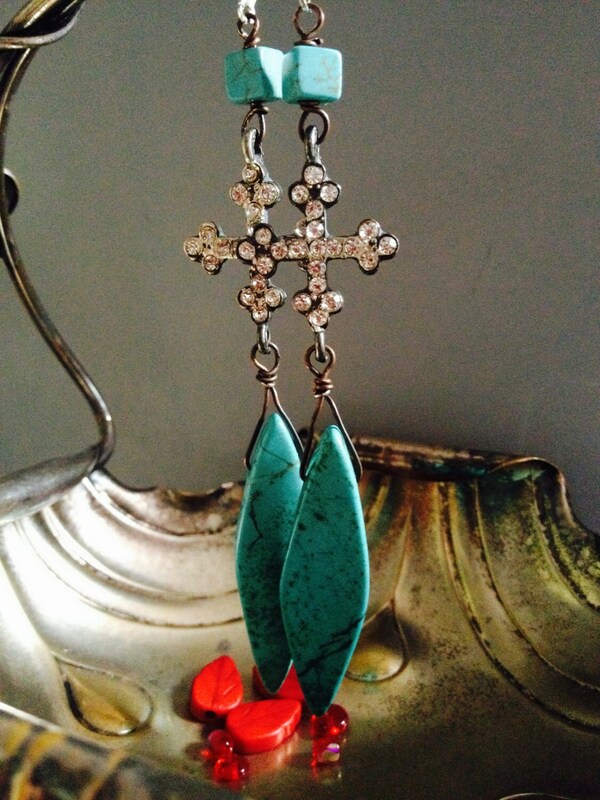 I assembled these earrings using various turquoise beads and silver components. All in very unique contemporary yet classic design. Please choose the desirable combination from variations. Multiply orders are available on demand, discount on more than one pair is applicable. 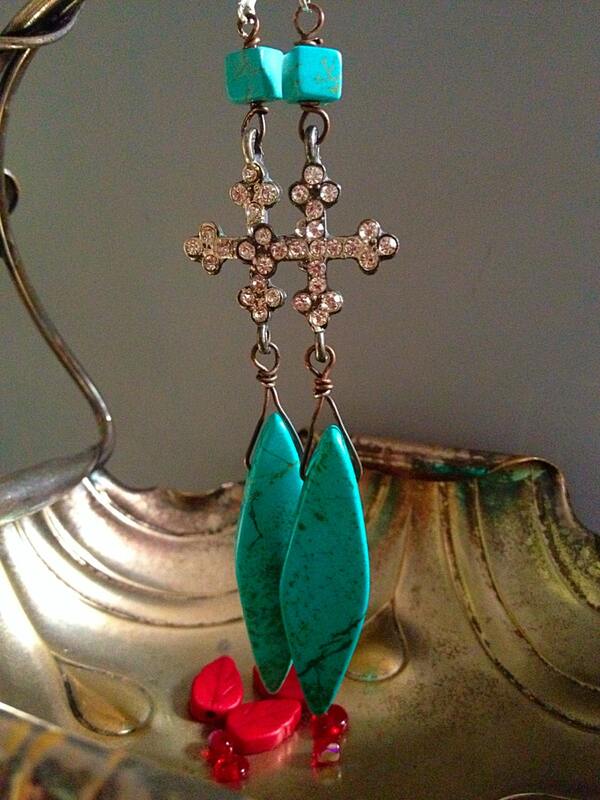 Earrings drop down to 3 1/2 " long", brand new lever or hook backs according to your choice! 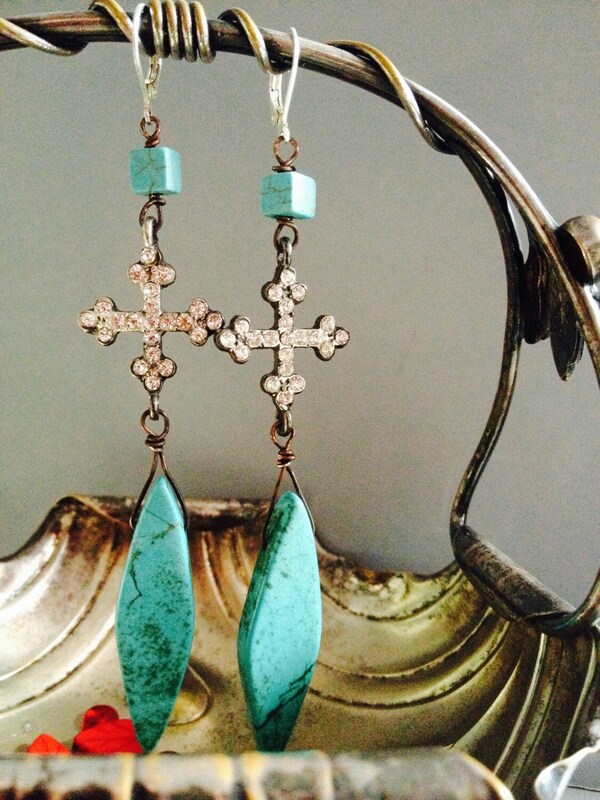 They will be perfect for the gift, wedding , or prom. Each one of my pieces is crafted with vintage and antique treasures, each piece is unique and distinct, there will never be another piece like it! I've been giving the new life to the old pieces for a long time. Treating my friends and family with my own hand-made designs has always been a great pleasure of mine. They convinced me to include my assemblage creations into my shop inventory . 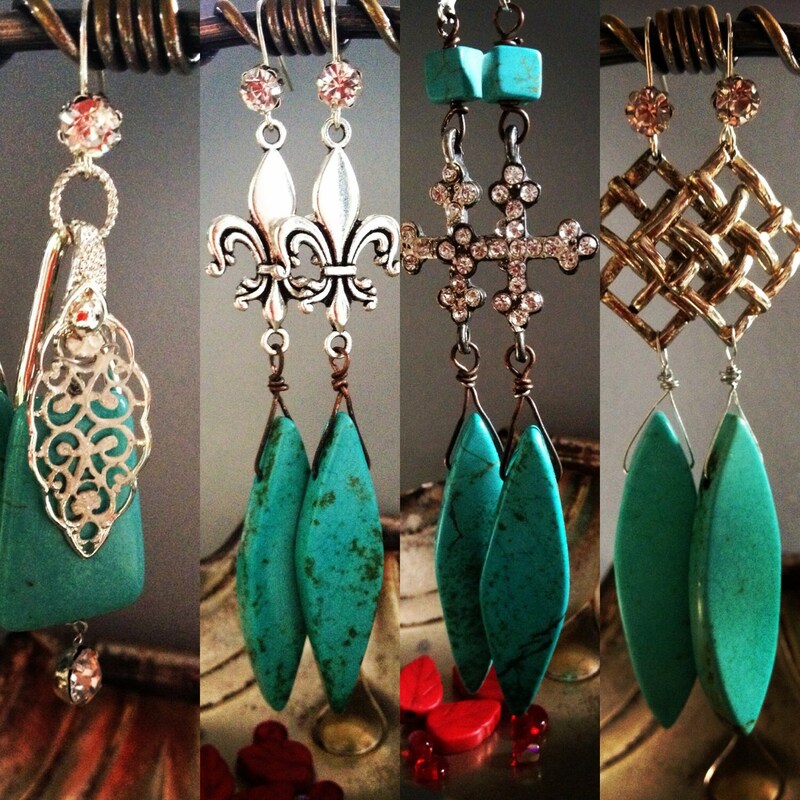 I combine vintage components with new elements to create a variety of one-of-a-kind jewelry. My philosophy " Don't fix it if it is not broken." I also believe in treating the vintage jewelry with dignity and respect, these pieces have been through a lot , some of them are older than me , so who am I here to take it apart or brake into the pieces? As a collector of vintage jewelry, I strongly believe in NOT destroying rare and valuable pieces. If you buy one of my creations you can be sure no vintage functional jewelry was harmed to build a new piece.